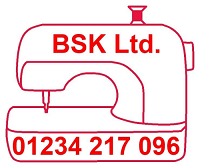 Suppliers of sewing machines embroidery machines and accessories to the public. We specialise in mail order and also have a large showroom in Bedford. We sell Brother sewing and embroidery machines + Janome Sewing Machines +Marathon Embroidery Thread. We're pleased you'd like to review Polyester Sewing Machine Thread 1000 Metres Spools 245. Please focus your comments on the item's content and features.